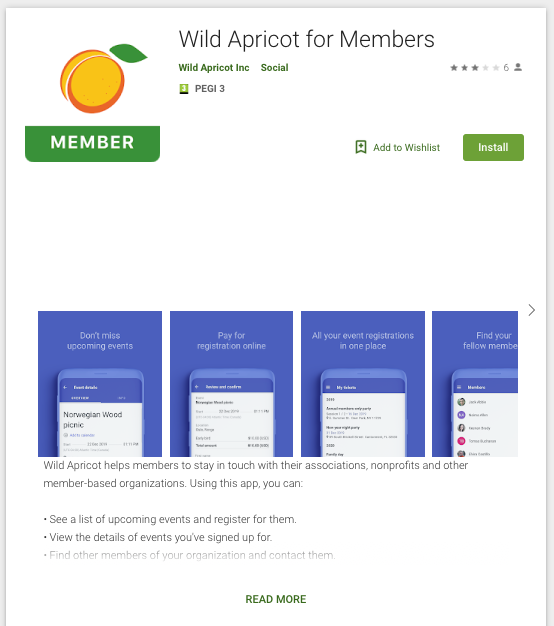 Our membership website provider, Wild Apricot, are constantly developing the site all the time and following their Apple iOS App (iPhone and iPad) launch, we have been notified that an Android App is now live. 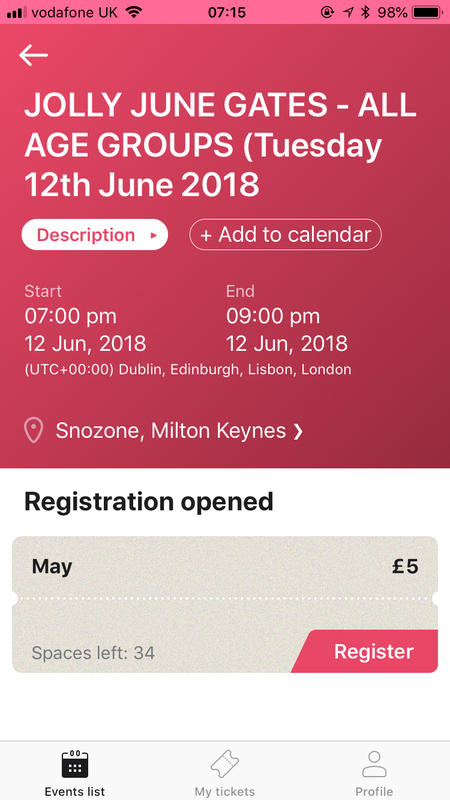 The Members App will allow you to view the Events, register for Events (that are enabled and open for registration), add the Event to your iCalendar / Google Calendar, view Tickets (which are your bookings) and pay for the Event via Paypal. At present the system will not allow you to cancel Event registrations, however they are developing the App constantly and we have raised a wish list request for the function - coming soon. Click on the App Store or Google Play buttons to download. Access to your Profile will be via your usual SMK website log-in username and password. (The following are the Apple iOS version - the Google Android should be similar). 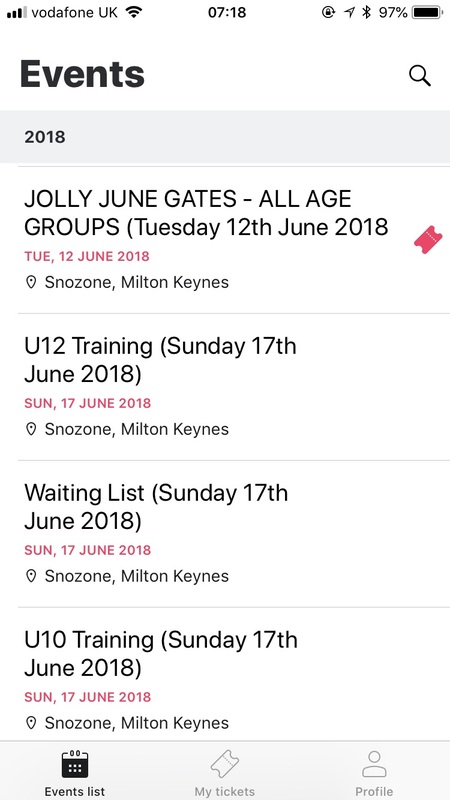 Click on Events to view all the Events and choose your correct Age Group. Once within the correct Event, if Registration is Open and spaces available, Click Register. 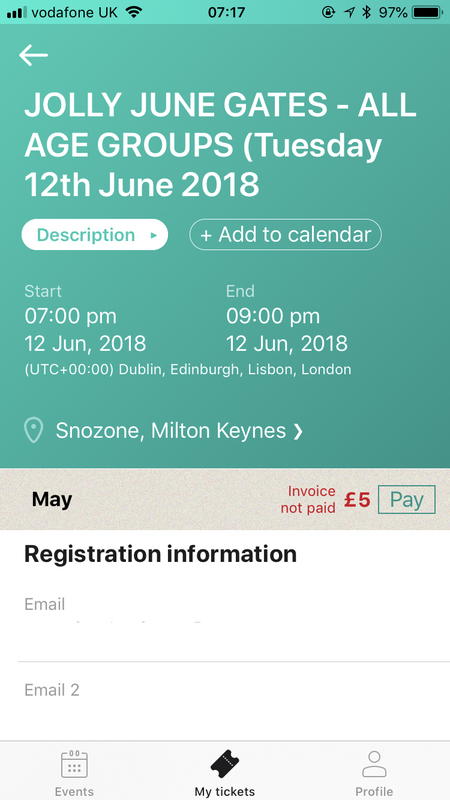 (You can also add the Event to your Calendar and also Click Description for details on the Event - we are aiming to provide more details on these sections to help). You can view which Events you are registered on Click My Tickets. 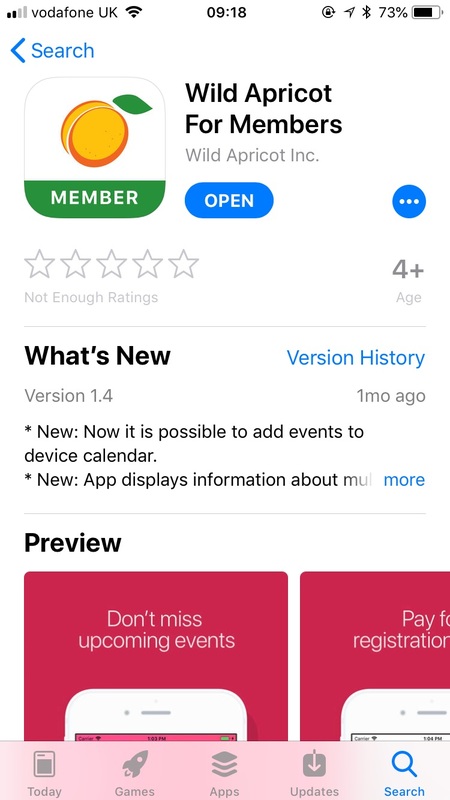 Payment can also be made through the Members App through Paypal. 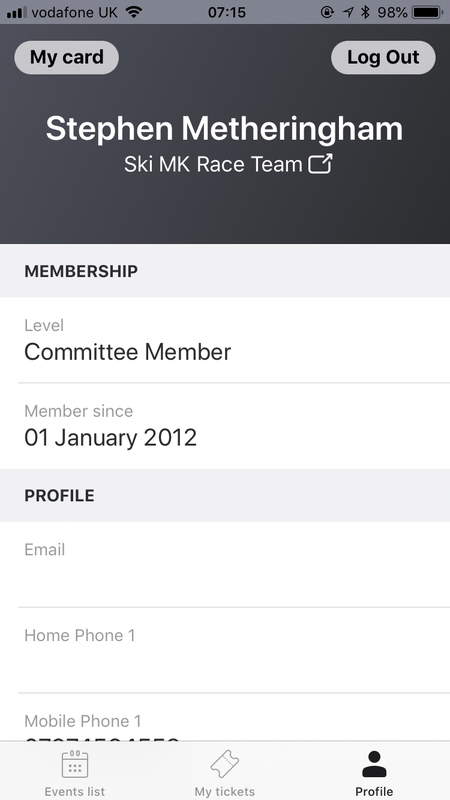 A final great feature of the App is the Digital Membership Card which works real time to your SMK details - which you access via Profile and My Card - Cards are only available to you individually to view and not to other users, and it provides details of your Home Nation Governing Body (SSE, SSW, SSS) Membership numbers and your SMK Membership ID and Renewal Date. This provides you with the proof you are a SMK Member at Race Events and where Shops and Manufacturers are providing Club Discounts. 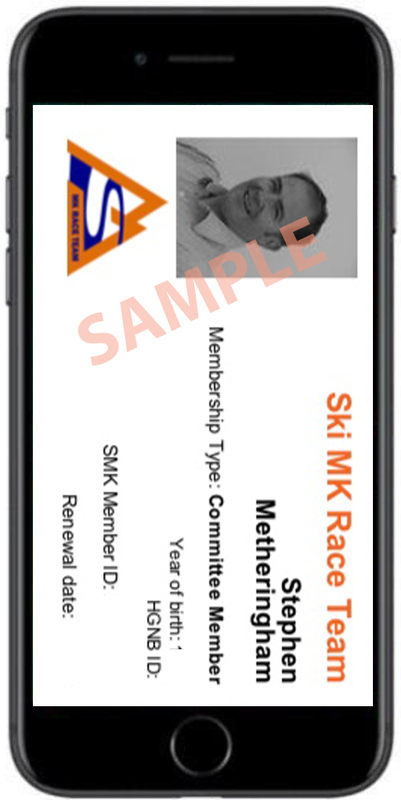 This isn't a function yet offered by Snowsport England through their new system - but can be great to prove in real time your membership of Ski MK Race Team at race events. To benefit from this, please log on to your profile and update your details to include HNGB Registration Number (Snowsport England, Scotland or Wales), Snozone Membership Number, a Personal Photograph (whilst we love the extreme ironing photographs, a clear and cropped head photograph works best - as clearly modelled by our distinguished Chair on the example below). Hope this helps you simplify booking Events and provides you with a Membership Card that is always up to date. 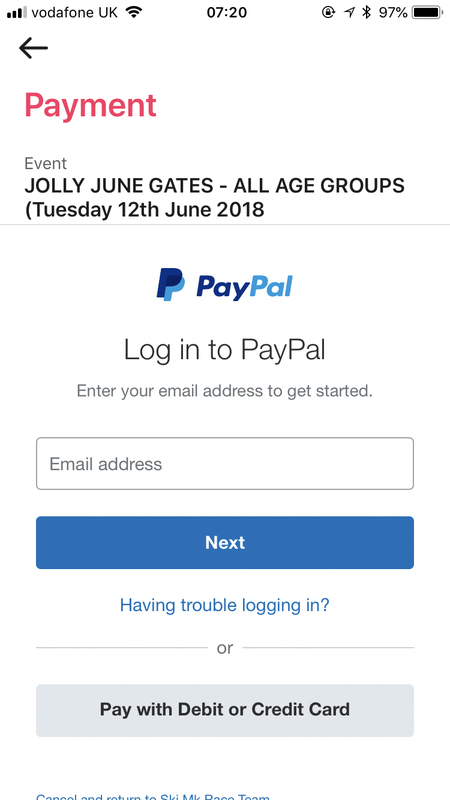 Wild Apricot are developing lots of functions, and hopefully in the future we can use the system for checking in (and out to help with Safeguarding) for sessions, maybe push Sponsor and affiliates offers direct to your phone.